Favorite day of the week on my blog! Today we cast Frank Valentine from the Ember series. The protective and fun spirited voice of reason in the story. 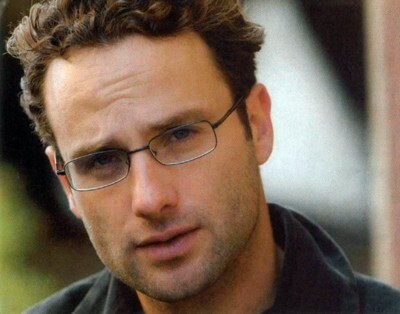 He would be played perfectly by Andrew Lincoln (Rick from The Walking Dead). His acting is phenomenal, his show is perfection and I would love to have a presence like that in my movie for Ember. Uncle Frank's story arc gets very...dramatic...in the course of the series. Hope you like the pick...be here next week when we cast the bad guy! Rock on...M.
Perfect pick for Uncle Frank!!! This is such a cool idea. I love it! I haven't read your book yet, but I love the idea of casting actors for each of my characters. And I really like the actor you've chosen here. He's awesome.